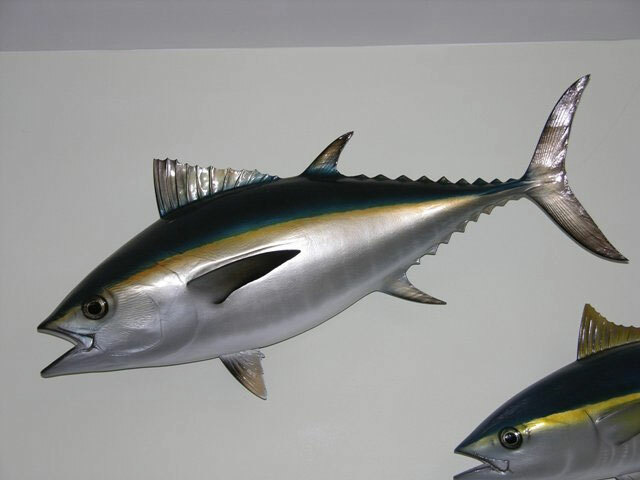 Blackfin tuna (Thunnus atlanticus) is the smallest tuna species in the Thunnus genus, generally growing to a maximum of 39 in (100 cm) in length and weighing 21 kg (46 lbs). Blackfin have oval shaped bodies, black backs with a slight yellow on the finlets, and have yellow on the sides of their body. Blackfin are only found in the western Atlantic from Cape Cod to Brazil. Blackfin hunt both epipelagic (surface) and mesopelagic (deeper water) fish and squid. They also eat crustaceans such as shrimp, crabs, amphipods, stomatopods and the larva of decapods. They are a short-lived, fast-growing species; a 5 year old fish would be considered old. They reach sexual maturity at two years old and spawn in the open sea during the summer. 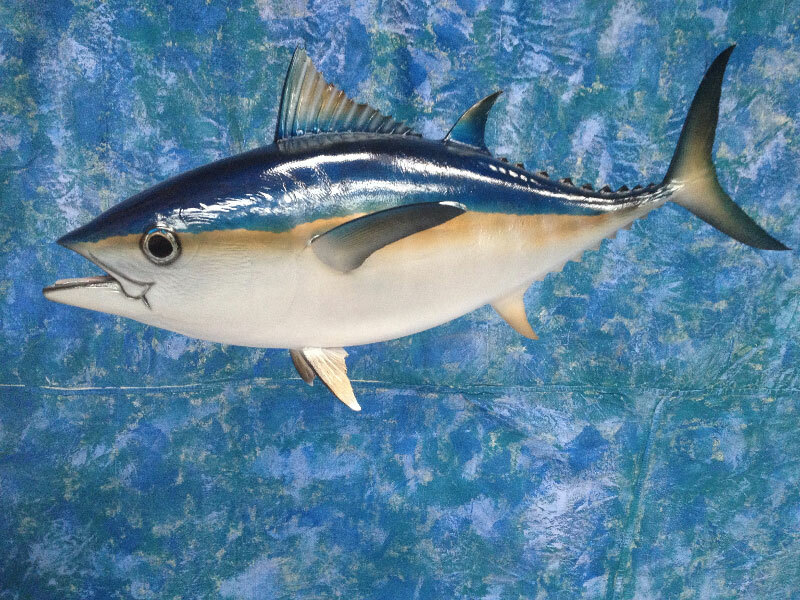 Blackfin tuna are a warmer-water fish, preferring water temperatures over 20 °C (68 °F). What they lack in size, they make up for in numbers and willingness to bite.